Sara Gabbard: Which presidents do you believe showed the great­est leadership skills. Al Zacher: Strong presidential leader­ship might be defined as the ability of a president to pursue major objectives to fulfillment. This requires persever­ance, support of the public and of Con­gress if their approval is required. This is an understatement, but it provides a guideline to judging the leadership skills of a president. However, it does not mean to imply that the objectives are in the best long-term interests of the nation. 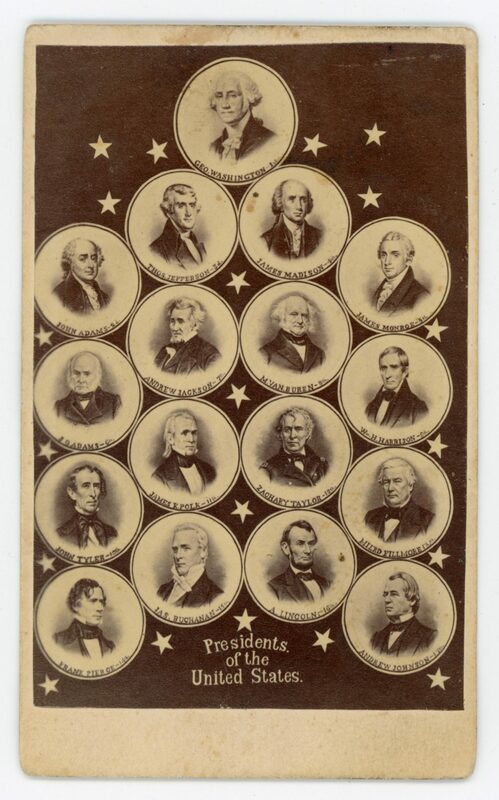 Those presidents with strong leadership skills were: George Washington, Thomas Jefferson in his first term, James Madison in his sec­ond term, Andrew Jackson, James K. Polk, Abraham Lincoln, Theodore Roosevelt, Woodrow Wilson, Franklin D. Roosevelt, Harry Truman, Dwight Eisenhower, Lyndon Johnson, Ronald Reagan, and George W. Bush. SG: How do you keep track of all of the newly published books on history and determine which to read? AZ: I carefully seek out new books by authors with recognized credentials that appear in the New York Times Book Review, in the “Saturday Review” section of the Wall Street Journal and in the New York Review of Books. Interest­ingly, magazines such as the Atlantic and National Review will occasionally have an article on a book that is not widely covered. The reviews in Lin­coln Lore have merit. I read many of these books that seem to present an insightful and/or broader perspective. SG: Do you buy more books be­cause you think that you SHOULD read them or because you WANT to read them? AZ: I want to read any historical book that offers valued insights. But I avoid books that I believe fail to accurately present their subject. For example, I would not read books on Jefferson which rejected his relationship with Sally Hemmings. I believe those au­thors failed to understand Jefferson’s character and nature, which was the basis for his decisions in all matters. SG: I know that you are a great student of the U.S. presidency. Do you explore one man at a time, or do you “jump back and forth?” Do you reach a point at which you are satisfied that you “know” a presi­dent? AZ: My book on the second term of our presidents has a chapter on each second term president, up to and in­cluding George W. Bush. I studied these presidents in the greatest detail by reading the few autobiographies which existed and biographies. I in­cluded in my studies their speeches, letters, public documents, and diaries. I continued my research until I was satisfied that I understood: the inner nature of each, their strengths and shortcomings, and both their success­es and failures. SG: Do you believe that some presidents have been overrated? Underrated? AZ: James Madison has not received the recognition he deserves in the annals of presidential history. He was the great contributor to the Constitution, the Bill of Rights, and the Federalist Papers. As president he was granted the opportunity to pursue their implementation. In his second term, he found the flexibility to implement Federalist concepts while retaining the power of the veto. And he stood alone in preserving Washington as the federal capital as the British destroyed most of the gov­ernmental buildings. The great admi­ration of Jefferson exists despite his failures in his second term. Jackson became hugely popular among much of the population by appearing as the fighter for their interests. However, that popularity aside, many of his significant decisions have later been judged to be unfavorable. SG: In your opinion, which books written by Lincoln’s contemporar­ies best stand the test of time? AZ: The book that stands out is the one written by John G. Nicolay and John Hay. Herndon’s so-called biog­raphy made some contributions, and a number of his quotes from others have particular value. SG: Gordon Wood wrote a book ti­tled The Purpose of the Past: Reflec­tions on the Uses of History. Have Americans as a whole lost the belief that understanding history is important? If so, why? AZ: The widespread disappearance of history courses in colleges and universities, including many of the most prestigious, is a great tragedy. Sages through time have warned of the danger that ensues from ignoring the lessons of the past. However, it has to be not­ed with pride that some of our presidents seem to have taken lessons from the past as their guide. Among those who under­stood this and followed through with policy were Washington, Madison, Lincoln, Theodore Roo­sevelt, Eisenhower, Franklin Roo­sevelt, and Truman. Among those who refused to learn from the past were Jackson and George W. Bush. Young people today are be­ing denied the study of history by an academic view that seems to refuse to understand the damage it is causing. SG: Abraham Lincoln so ad­mired our Founding Fathers. Let’s use Thomas Jefferson as an example. Have our feelings about him changed through the years? AZ: Abraham Lincoln trusted his own judgment in the lessons he drew from the Founding Fathers whom he admired so greatly. He borrowed from each portions of their contribu­tions that he believed fit his times. His support of improvement such as the railroads and land grant colleges were counter to the firmly held views of the Jeffersonian outlook, although he expressed great admiration for Jef­ferson. 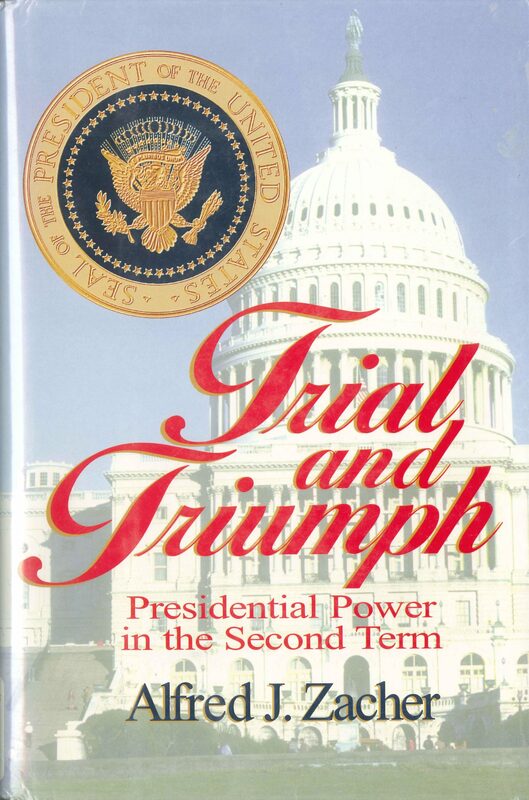 SG: Your book, Trial and Triumph: Presidential Power in the Second Term, was critically acclaimed. How did you conceive of the con­cept of second terms as a focus? AZ: In reading Henry Adams’s History of the United States during the Adminis­trations of Thomas Jefferson and James Madison, I discovered Adams’s view that Jefferson had a troubled second term. I recalled vividly the unfavor­able impact his attempt to pack the Supreme Court had on the second term of Franklin Roosevelt. And of course the resignation of Richard Nix­on in his second term added to my decision to study presidents who had served a second term. SG: Please comment on the impact of media on the presidency over time. AZ: Surprisingly, presidents have had to manage the challenge of power­ful and sometimes new media from the early moments of our republic. George Washington and the Feder­alists were bombarded with attacks published in the flourishing newspa­pers that were in the infancy of this media. Many of the articles, both for and against the administration, were either unsigned or written by the Founders under assumed names. Many contained fake news, other made scurrilous accusations, such as referring to Jefferson’s relationship with Sally Hemmings. Abraham Lin­coln invested in a German Language newspaper to influence that group. He worked closely with the editors of major newspapers to gain their sup­port. Franklin Roosevelt attempted to dominate the newspaper media by maintaining a close relationship with reporters through his frequent press conferences. However, the papers were owned by his opponents and regularly pub­lished editorials and articles in oppo­sition to FDR. During the time when radio was in its infancy, his “fireside chat” radio broadcasts drew a very high percentage of listeners. In the meantime, radio personalities such as Father Coughlin had a sizeable ra­dio audience listening to his virulent attacks on Roosevelt, Jews, and more. Television led Eisenhower and all presidents that followed to obtain as much exposure there as possible. However, Donald Trump has set a new level of use of media by having had his own successful TV series, his use of Tweeting, and his frequent announcements, which bring him at­tention. Social media in its various formats offers a vast public an oppor­tunity to broadcast their positions on all matters of interest to them. Any presidential candidate now faces a much broader onslaught from this new world of media. Time will tell us if democracy can weather the storm of such diverse and powerful media by allowing the two-party system to function as it always has. However, there is reason to believe that media is only one factor in the survival of de­mocracy.